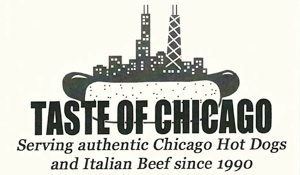 Our menu offers a variety of Chicago-style choices, from Vienna All-Beef hot dogs to Polish Sausages and Italian Beef sandwiches. Join us for lunch or a no-fuss dinner. Bring the family. We have a small counter top inside that seats 6 people comfortably, as well as covered picnic tables outside. 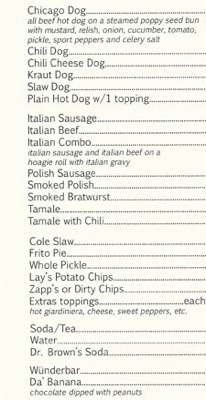 Come try us out & let us be your new favorite hot dog joint!